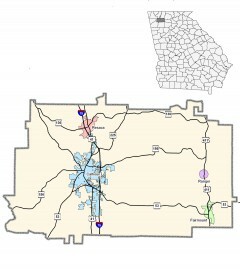 Gordon County was created in 1850 from parts of Floyd and Bartow counties. The 93rd county formed in the state was named after William Washington Gordon, who was president of what was then the Central Railroad and Banking Company and later became the Central of Georgia Railroad. Calhoun was named for Senator John Calhoun. Originally, it was called Dawsonville. Calhoun was virtually wiped out by Sherman’s troops little more than a decade after being incorporated in 1852 but was rebuilt after the war.